Visual Studio 2019 Preview 2 is released recently with a ton of improvements and tweaks, as well as, additions to aid development in several languages. 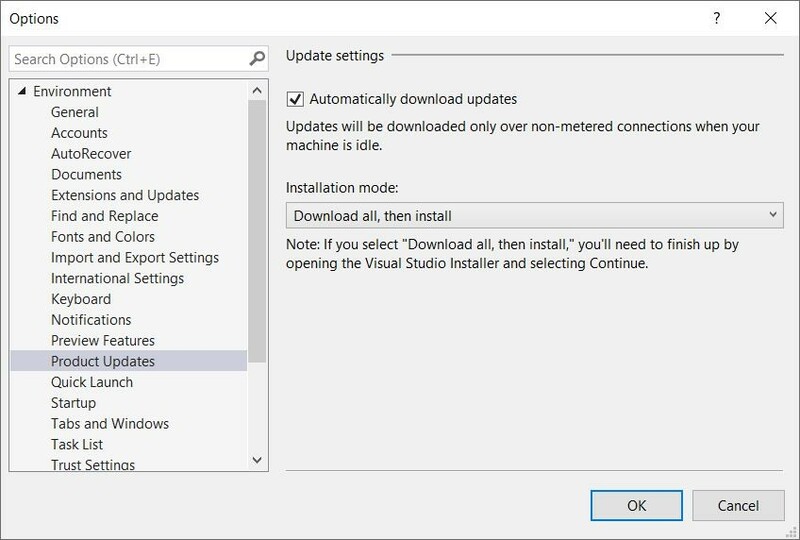 Microsoft has announced the release of Visual Studio 2019 Preview 2 which brings a ton of improvements and tweaks, additions to aid development in several languages, and more. Core IDE experience is being updated to automatically download updates in the background. Of the several different options for this functionality, ‘download all, then install’ is the default. The per-monitor awareness preview feature which was added in preview 1 is now enabled by default as long as the users meet the system requirements. Search capabilities have been improved in the start window and inside the IDE, and the document health feature has been given a visual upgrade and multiple tool windows have been updated. This preview has several additions to aid development in C++, C#, F#, and .NET. For C++ programmers, it brings "guaranteed binary compatibility" with the Visual Studio 2017 MSVC toolset and runtime along with support for 20 programming language standards. CMake integration will enable users to Detect and enable Vcpkg toolchains automatically. For C# new updates include new language features like pattern matching, recursive patterns, and switch experiences. F# development is given a preview of the F# 4.6 language and several improvements to make the language’s load time faster in heavy projects. .NET programmers are provided the new refactoring and codefix capabilities. This version has made project files for .NET SDK-style projects a first-class file type. Mobile .NET segment upgrade include updates to build performance with Xamarin and support for the latest Android dex compiler and code shrinker. Users can now switch between different Python interpreters by utilizing the new Python Environments toolbar while editing Python files.